The most important thing to notice are the huge holes punched into the surface of the planet by countless asteroid and meteor strikes over the millennia. 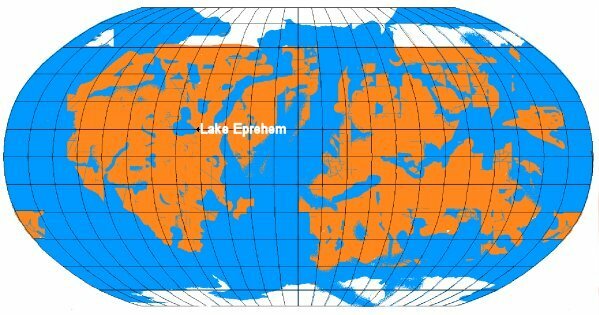 Lake Eprehem is annotated and this is where Ibbra City and New Ark City were founded. To the east, on the little isthmus between the Great Northern Bay and the Great Southern Bay lies Vuduri City. The western continent is called Asquarti. The eastern hemisphere is considered two separate continents connected by a larger isthmus. The northern continent is called Toraode and the southern continent is called Sul. As mentioned in a previous post, there were a group of Vuduri who did not agree with the plan to allow the Overmind to take over. This group was called the Suduri and they eventually left Earth. They were the first humans to land on Deucado (ignoring the fact that the Deucadons had been there for over 400 years) and they settled in the lower continent of Sul. Aason Bierak led an expedition there and discovered evidence of their colony. However, the Suduri had long since fled to places unknown. I think you may find out where they went in the final novel of the series entitled The Final Journey but I have no idea when that will be. The power rods were hollow cylinders built from a lead/tin alloy and contained a substantial amount of thorium 235. On the one side was a slit which would allow neutrons to escape. They were inserted into a cylindrical cavity and rotated so that the slit was sealed by a lead/tin extrusion within the well. On the other side of the rod was a thin sheet of lead-impregnated, neutron-blocking glass. If the Ark landed normally, all you had to do would be to rotate each rod 180 degrees so that the slits faced inwards. The thorium would be exposed and neutrons would fly out. This would allow enough radiation to escape to generate heat which would be captured by thermocouples, converted into electricity and the sarcophagus would power up. But what if the Ark crash-landed? That's where the thin sheet of lead glass comes in. If the Ark crashed, the glass would shatter and allow enough radiation to heat up the thermocouples and the occupant could be resuscitated without requiring any intervention by another crew member. One of the scenes excised from the original long form of Rome's Revolution was the initial reanimation of Rei Bierak. However, in Part 2, I did retain the scene within The Cathedral where each of the frozen crew members of the Ark II was reawakened. It was there that Rei instructed the Ibbrassati on how to rotate the rods to activate the thaw. We also got to see the power rods in use for "inflating" the vehicles which were collapsed in the cargo section. And finally, we learned from the Deucadons that many centuries earlier, they powered their first artificial sun using the power rods taken from the Ark III's sarcophagi. In Rome's Revolution, the colonists from the 21st century don't leave until 2067 AD. You would assume that some new colloquial expressions would seep into English between now and then. Adding new colloquial expressions is nothing new in science fiction. Anybody who is a fan of Joss Whedan's Firefly knows they speak a mix of English and Mandarin and they often describe cool things as shiny. When I was growing up, things were neat, cool, slick, hot and so forth. Regardless of the word, the sentiment was to use an ordinary word to express something being special or great. So it was that I introduced the word sleek into Rei Bierak's vocabulary. It had to be a word which meant something to us today but could also be easily understood that it had evolved into a colloquialism in the future. The Vuduri, on the other hand, don't even speak under normal circumstances. The fact that Rome grew up in a mixed home allowed her to develop her language skills but learning English was completely foreign to her. OMCOM fed her the transliteration of our language as she was acquiring it until she conquered the new language. However, she only mastered formal English at first. Later, having spent so much time with Rei, she picked up on how to speak more informally, sprinkling her speech with contractions. At first she thought this was sufficient but after listening to Rei, she realized there was more to speech than just vocabulary. Her big breakthrough was with the word wow. Her first attempt at using the word came when OMCOM computed the distance a star-probe could cover in a single jump. It turned out to be 120 light years. Rome couldn't help it. She said wow to express her wonderment but the word sounded funny coming out of her lips. Of course we know as she became more comfortable with English, the word wow became a natural part of her speech. In fact, by the time she and Rei left Tabit to begin their year-long journey to Deucado, it was already rolling off her tongue. The very fact that she learned to experience wonderment and used a word to express it is a big wow unto itself. In the upcoming novel The Milk Run, it is important that I put Aason Bierak through some difficulties. The first place he goes after his sister Lupe disappears is the star system of Nu2 Lupi. This star system is supposed to have TWO habitable planets, one very hot and one very cold but both habitable. When Lupe disappears, she only has time to tell Aason that she was taken to Nu2 Lupi. Aason gets there and only finds one: the cold planet, called Hades by the inhabitants. What happened to the warm one? You'll find out. When Aason gets to Hades, the first thing he finds out is that there are predators lurking in the woods, ready to eat him. I wanted to call them ice-wolves but I already used the term bat-wolves for the flying predators on Helome. I thought about ice-tigers, ice-panthers, ice-cats and so on. But nothing clicked. Anyway, they lie in wait and hope for something to come along that emits heat. Something they can pounce upon and eat. Quickly. I was having trouble naming these creatures but my wife, Denise, said just call them ice-sabers so that the reader knows they live in snow but are as vicious as saber-tooth tigers. So ice-sabers it is. The door slid open. Rei cut across the Great Room and ran up the West Corridor, to the C-ring and turned to his right. Standing there was Commander Ursay, banging on Rome’s door, shouting at her, stabbing at the stud on her door. Rei could hear Rome’s muffled voice saying “Ni.” Two burly crewmen were coming down the hallway with some nasty looking equipment in their hands. This was long before I came up with the concept of the PPT Thrower so what was that "nasty looking equipment" ?? I guess in my mind, I was thinking something like a chain-saw or router. But later, after I invented the PPT Thrower, that would be the obvious choice. So let's just pretend that they had an industrial-sized PPT thrower. We'll assume that they used it for construction of Skyler Base and it was big and bulky but it was the best thing they had to cut the door open. OK? Before the opening of Rome's Revolution, Rei Bierak and 542 other would-be colonists are frozen and sent to the stars aboard the Ark II with the hope of getting to Tau Ceti and finding a habitable planet to welcome them. Of course, we know they got knocked off course and ended up at Tabit 14 centuries later where they were rescued by the Vuduri. At first, the Vuduri were very suspicious of the people they called the Essessoni because of their brutal past. But over time, each group learned about the good within the others and on Deucado, they forged a new society which was a blend of the old culture and the new. So did the colonists bring our holidays with them? After all, the calendars on every world would be different. The answer is a qualified yes. Some holidays don't have to fall on a certain date (Mother's Day, President's Day, Labor Day, Memorial Day) while others are supposed to. For example, even though the technical name for July 4th is Independence Day, most people just call it July 4th. But within each holiday is a reason and those reasons remain valid regardless of what solar system you currently reside in. So, today is February 14, Valentine's Day. Will the Vuduri learn to adopt this holiday? After all, when we first met them, they claimed the whole concept of love did not even apply to them. The good news is yes. Rei loves Rome and Rome loves Rei and Rei made sure that the concept, not the date, permeated Vuduri society and eventually got the entire Galactic Union to celebrate it. 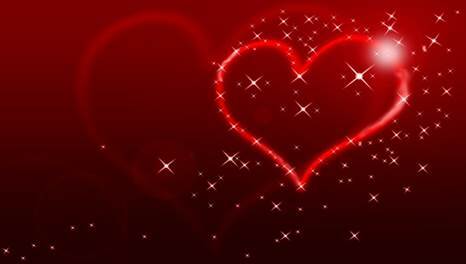 So Happy Valentine's Day from the 35th century and know that you are loved by admirers both known and of the secret type. As a cornerstone of Rome's Revolution, I have mentioned the star-probes acting as a lens-less camera on more than one occasion. In our real world, there are several instances of less-less cameras already in use today. Bell Labs introduced a lens-less camera that can not only resolve an image but can actually render it in color. However, the camera is not real-time and only uses a single pixel element scanning the static image to be rendered time and time again using different filters. This type of camera would not be very useful in "seeing" a Stareater in action. The imaging system developed by graduate student John Hunt and colleagues at Duke University in North Carolina has no lens and instead combines a meta-material mask or aperture and complicated mathematics to generate an image of a scene. This is the method I invoked for OMCOM. The star-probes formed along a concave geometry and used a small collection tube to guarantee that the photons they captured were only seen along the desired vector. The rest was pure mathematics and as a super-computer with not much else to do, OMCOM was completely up to the task of rendering the images in perfect focus in real time. The star-probes are the inverse of a lens. Instead of reflecting and focusing the light waves upon a single point, they only collect the light waves from the single point and transmit them back to OMCOM for compiling into a coherent picture. Tomorrow: your first glimpse at an actual star-probe! Rei drew a small circle and two arrows. There are really only four elements to this device. The first two are the opposed PPT drives which create the PPT tunnel away and then back. The pointy ends are the PPT projectors and the flared opposite ends are tiny plasma drives. 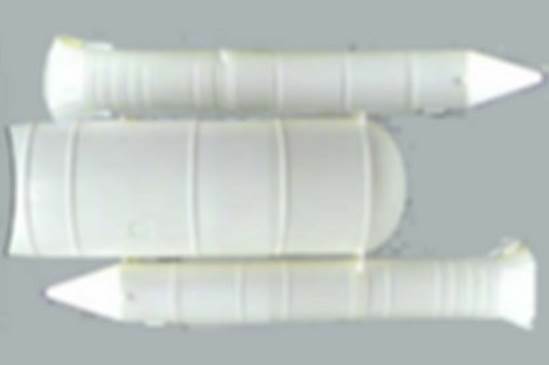 The middle section is the collection tube, discussed in the article about lens-less cameras and the other end is the transmitter for sending the one pixel data to OMCOM. Ultimately, OMCOM made them multi-spectral so they didn't just collect a pixel's worth of light. They also collected infra-red, x-ray radiation and so on. Lucky you. You get to be the first person in the 21st century to see the 35th century star-probes as employed by Rei and Rome. Remember, I always tell you: these stories are true, they just haven't happened yet. “What the hell are you talking about?” Rei asked. “In human terms, she is pregnant,” MINIMCOM replied. “Well, you analog antique, these are different. We had these special ones made just for you,” said OMCOM’s livetar. “No!” MASAL shouted. “Enough of this nonsense. End them! Both of them,” he ordered the robots. It's fun to sneak these lines in and see if anybody notices. I always get a kick out of them. There will be a few new ones in the upcoming novel The Milk Run. 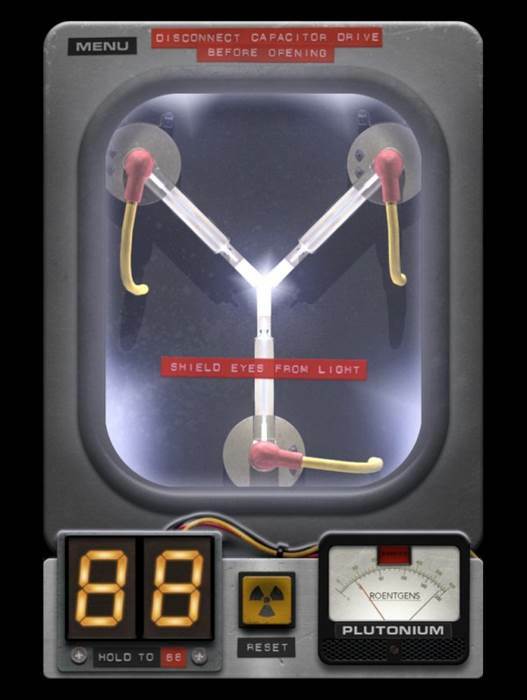 You will remember the Flux Capacitor from the Back to the Future movies as being the crucial piece of technology permitting the DeLorean car to travel through time. This was OMCOM's explanation as to how the PPT drive worked, channeling negative energy to the front pushing positive energy to the back. However, in this case, the diode he is referring to is literally a magic diode because in real life, even if there were such a thing as negative energy, how would you trap it? Hey, wait a minute? What if the "magic diode" was made out of dark matter? That'd be cool, wouldn't it? I'll have to think about it. Nobody could prove me wrong, that's for sure. In every disaster story, whether it is global or just an individual, you can always trace back to the exact moment in time when things begin to head South. In Rome's Revolution, it is the same way. Normally in novels, the characters do not realize that the fateful moment has passed until it is too late. After all, if they knew it, they would stop it. “So build more,” Ursay said angrily. “You are limited by the number of memron fabricators you have?” Rei asked. “So why don’t you just build more memron fabricators?” Rei asked. No one spoke for a moment. “Som,” said Ursay, which Rei recognized as yes. But somehow, he didn’t think it was in answer to his question. “What is it Romey?” Rei asked. “Sounds good to me,” Rei said, trying to sound cheerful. Rei shouldn't have been so cheerful. Without knowing it, Ursay had just opened the flood gates and given OMCOM all he needed to begin producing more PPT-enabled memrons at an incredibly high rate. OMCOM knew where it was all going to lead but he had to let the humans think it was their idea. That was his genius. He had figured out how to escape the destruction represented by the Stareaters and he did it in plain sight. The humans had no one to blame but themselves. Friday's meeting of the Philadelphia Science Fiction Society featured John Dixon, a top-selling author. His first novel, Phoenix Island, is among Amazon's most popular and is very highly rated. Phoenix Island is about Carl Freeman, a troubled 16-year-old orphan, who has an over-developed sense of justice and a passion to stop bullying that he cannot control. After numerous appearances in juvenile court, he is sent to Phoenix Island, kind of a last stop for good kids who do bad things. Phoenix Island is a boot camp where they are going to make you into a good person whether you like it or not. Near the end of the book, "they" implant a chip in the hero's brain which gives him access to the totality of human knowledge, akin to the Internet. Sounds pretty good, huh? John is planning up to six more sequels continuing his main character's journey. So what has this got to do with Rome's Revolution? 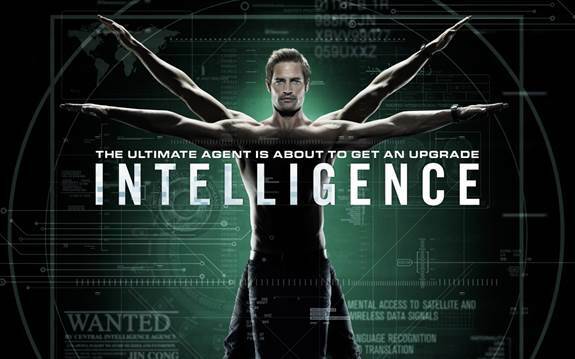 Just that John is good enough and lucky enough that his book got into the hands of agents and producers who saw enough promise in the basic premise that it eventually became the TV show you know as Intelligence starring Josh Holloway. John describes the Hollywood process as a "chop shop" where they took all his creative ideas, sliced and diced them, then recombined them into a show which is only peripherally related to his book. Except for the chip in the head, the resemblance is unnoticeable. I asked John if he had ever seen the TV show Chuck and he said while he had personally never seen it, I was about the 150th person to ask him that question. The fact is, his book sounds nothing like Chuck. The TV show sounds exactly like Chuck but without a sense of humor. Regardless, all of this gives me hope. It tells me that if I keep pushing, keep marketing, keep publicizing Rome's Revolution, The Ark Lords and Rome's Evolution, maybe I, too, can stumble across an agent or producer who might see the merit in an interstellar saga, culture clash and love story that can get chopped up and repackaged as a movie or TV show. Therefore I will keep going! Our discussion of free, unlimited energy such as that enjoyed by the Vuduri in Rome's Revolution started three days ago with hydro-electric power and two days ago with OTEC, ocean thermal energy conversion. Yesterday, we discussed wind farms. I'm skipping over biomass as I think it is too labor intensive. 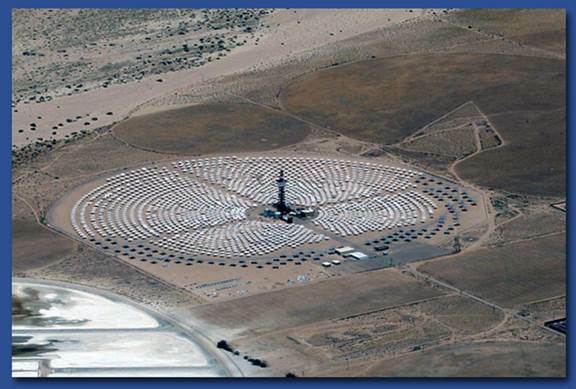 When completed, the Ivanpah Solar Electric Generating System will have gross capacity of 392 megawatts. Not bad. This thing points mirrors at a tower and that tower gets very hot, boils water and the steam drives a turbine thus generating electricity. The mirrors are mounted on servos and track the Sun as it travels across the sky. These plants are fairly expensive to build and have to be put way, way away from civilization but the fuel for these plants is free. 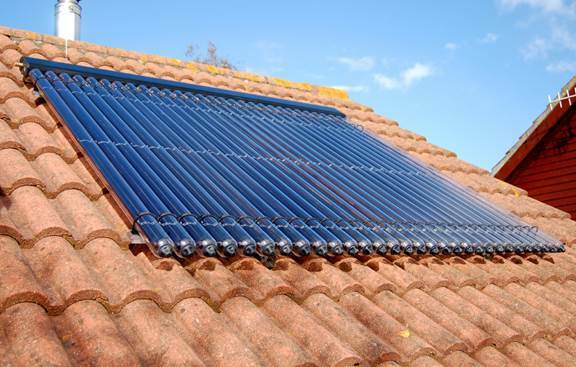 Solar panels capture the thermal power of the Sun to heat water. I can personally attest to their usefulness in that they heated my pool to a very comfortable temperature for many years and the only energy I had to supply was a pump to circulate water through the panels. 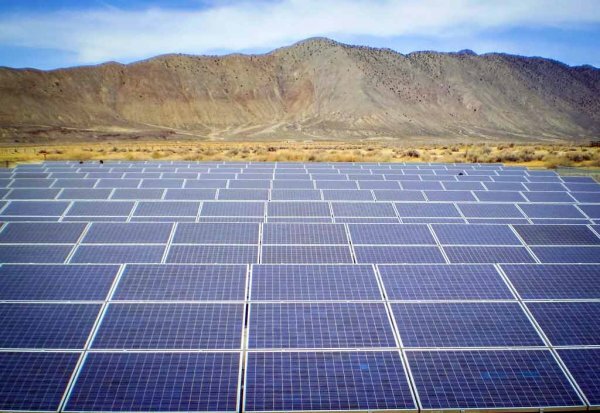 While these panels do not generate electricity in the traditional sense, they do reduce the energy requirements of a home. They work much better when it is sunny out but still it is a technology worth considering if you are a candidate. Do I have this on my home yet? The answer is no. My wife will not allow it until the solar cells look like shingles but I assure you that day is coming. Can you imagine how low our energy requirements would be if everybody had one of these? They could be fitted onto the roofs of cars and trucks too. The uses are unlimited and amazing. We just need the technology to get there. I hope you can see the bottom line of these past few articles is that the Sun provides all the energy requirements our civilization needs. We just need to be aggressive in harnessing this unlimited, free source of energy and our lives can be like those of the Vuduri. Do Vuduri women wear bras? This is a stupid question but the answer is no. Now you might think it is important for support and modesty. Well, the Vuduri women have no modesty. As far as support, well, most of them are only moderately endowed. However, in the few cases where there is enough mass to require support, that is where the 24th chromosome comes in. There is no sagging, no drooping, hell, gravity just doesn't come into play. The Vuduri are just better built. So there isn't anything more I can say about the topic. They do not wear bras. Not sports bras, not cross-your-heart, nothing. Rome included. The entire culture, physics and politics of Rome's Revolution depends upon the characters being able to travel between the stars. But really, is that practical? I had postulated that the Grey Drive could accelerate a ship up to 5% of the speed of light. Even at that speed, it was estimated that it would take 250 years, a quarter of a millennium, to get to Tau Ceti. What about real life? The fastest object to ever leave our Solar System, to date, is Voyager 1, currently clocked as traveling at 17 km/sec. Compare that to the speed of light which is 299,792 km/sec. The Voyager 1 space probe is traveling at .005% of the speed of light. At that rate, it will reach the edge of the Oort Cloud, generally considered to be the edge of the Solar System, in 40,000 years. Even if it were pointed directly at Proxima Centauri, the closest known star, it would still take yet another 40,000 to reach that star system. There ain't nobody who is going to hang around for 80,000 years to see if Voyager reached the next star system over. If you thought that Voyager 2 would go farther and faster than Voyager 1, forget it. Voyager 2 is only traveling at 16 km/sec. There was a time when Voyager 2 was farther away since it was launched August 20, 1977. Voyager 1 was launched a few weeks later on September 5, 1977. It has a higher net speed so once Voyager 1 pulled ahead, it pulled ahead for good. Here's the bottom line: if we are going to travel to the stars, we are going to have find a better, faster way. The PPT star drive which goes around space, rather than through it, seems like the only reasonable way to proceed. Well, until we get the Null Fold X-drive which has no upper speed limit! All of science fiction, not just the Rome's Revolution series, requires a certain suspension of disbelief. I mean my whole trilogy takes place in the 35th century, for gosh sake. I find it funny when people select one part of a work which is inherently implausible and say I couldn't buy this one part. Pretty cool, huh? Remind you of anything? How about Rei's invisible chest because he was using the PPT vest during the first half of Rome's Evolution. On its surface, you can buy that MINIMCOM invented a miniature, portable self-sustaining PPT tunnel that protected Rei's back (and later his chest). But he couldn't walk around like the woman in the picture. So I had MINIMCOM invent a tailored shirt with an electrostatic charge that kept it inflated in a shape that made Rei look normal. Of course if you pushed on the shirt, it would collapse in and your hand would come out the other side. And the electrostatic charge part is the one section that doesn't seem to be possible? Huh? The Milk Run has begun! I know I have been promising you The Milk Run starring Aason and Lupe Bierak for a long time. Well, I'm pleased to announce that finally it has begun. I have completed a draft of the first chapter which sets up the protagonists, the conflict, in fact, the entire plot. Just to prove I am not making this up, here are the first three paragraphs. “AASON!” Lupe shrieked, her voice warbling in terror. The teenage girl’s bloodcurdling scream shattered the peaceful calm of the starship cabin which moments before had been filled by the gentle shushing sound of the Null Fold star-drive. 21-year-old Aason Bierak was caught by surprise. He had been staring straight ahead, lost in the mesmerizing blackness of null-fold space just beyond the cockpit’s windshield. It was a trap and Aason knew it but it was one in which he allowed himself a few minutes of entanglement. With a titanic effort, Aason tore his eyes away from the lush void to face his sister. He was horrified to see a waving set of translucent tentacles had emerged from nowhere, enveloping Lupe, constricting her in their grasp. “What! ?” Aason gurgled. He clawed at the clasp of his X-harness, snapping it open. He flipped off the straps, extending his frame. Even as he jumped out of the pilot’s chair, the crystal-like extensions of light were dragging his younger sister into a not-hole. There was no other way to describe it. 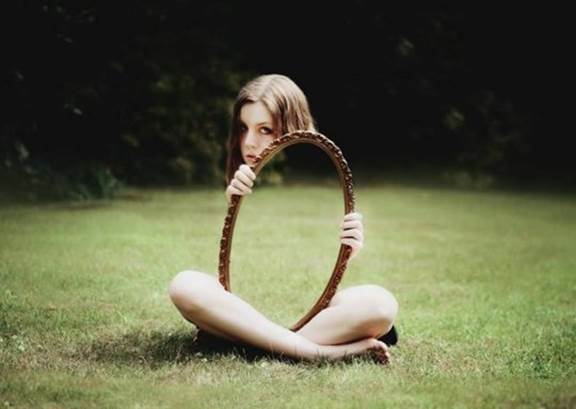 Her whole body was distorted and it looked like she was being sucked into a vacuum hose. Aason leaped toward her, arms outstretched, but he was only able to brush his hand across one of her fingertips just as she disappeared into nothingness. Exciting, huh? I am relieved to finally get going on this thing! I currently have it scheduled at 35 chapters and about 110,000 words. There will be one flashback in the story to help with a critical plot point and my first ever "flash-sideways" to show what is going on in another part of the universe that will dovetail with the main plot. I watch plenty of police and action shows and occasionally they refer to high-tech depleted uranium bullets. I guess I always thought of them as causing mini-atomic explosions and that's what made them so powerful. Well, I was wrong. Turns out, people have been making bullets out of lead for many years because lead is a very dense material and had the best chance of penetrating whatever it is that you are shooting at. Naturally occurring uranium comes in two flavors called isotopes. 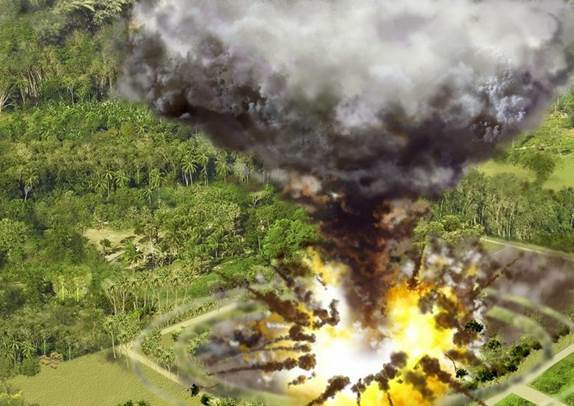 U-235 is what is used to make atomic bombs. U-238, the other isotope, is far less active. If you take all the U-235 out of uranium (thus depleting it), all you are left with is U-238 which is twice as dense a lead. However, they are far more deadly. Even though the "dangerous" part of the substance, U-235, has been removed, the remaining U-238 is still slightly radioactive and many groups believe they pose a health hazard beyond just shooting holes in things. Why do I bring this up? Aason Bierak and OMCOM discover bullet holes in the crew compartment on Nu2 Lupi in the upcoming novel The Milk Run that are caused by DU munitions. I always thought it would be a cool term to use in a scifi novel, I figured I'd better find out what I was talking about.